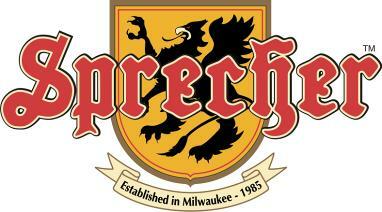 Sprecher started back in 1985 as the first microbrewery in Wisconsin since the repeal of Prohibition. Brewing in Milwaukee’s Walkers Point neighborhood for the first ten years (very close to where the Great Lakes Distillery is now), they moved to a former elevator car factory in Glendale in 1994 along Lexington Avenue, just west of I-43 and east of Highway 57/Green Bay Road. They’re also just north of Highway 190/Capitol Drive. Sprecher is well-known for both craft beers and a line of popular sodas. They feature six year-round brews and 14 seasonal and limited release beers, including a market-leading line of gluten-free selections. They also make seven varieties of popular sodas, including a terrific root beer and a cream soda. Best of all, they offer tours! Times vary and tours cost anywhere from $1 to $3, depending on your age – which also determines which free samples you get.